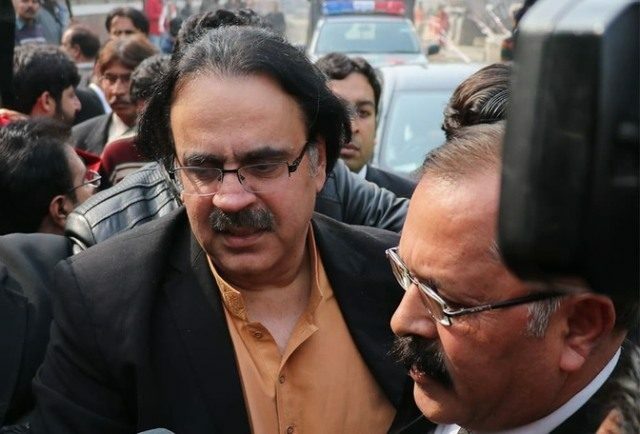 An Islamabad court has remanded Dr Shahid Masood into police custody for 14 days in a mobile phone snatching case. The police had brought him to court from Adiala jail. The anchorperson had misbehaved with SAMAA TV’s Noorul Amin Danish and snatched his phone. On November 28, a district and sessions judge had issued his arrest warrants in the case. The judge rejected Masood’s pre-arrest bail. An FIR against the anchorperson was lodged at Islamabad’s Ramna police station on the complaint of the journalist. In his application, the journalist said that Masood snatched his cell phone and deleted all his data without his consent at the Islamabad High Court a few days ago. The journalist said that the anchorperson used abusive language against him and warned him of dire consequences. The anchorperson is currently in the FIA’s custody in the PTV corruption case. Masood was arrested on November 23 and is being investigated for his alleged involvement in the embezzlement of Rs38 million. According to the FIA, he signed an agreement with a fake company to obtain the media rights for the Pakistan Cricket Board.